We design and make temperature sensors for original equipment manufacturers (OEMs) and new product development (NPD). If you have a product or project that requires a temperature sensor, we have the knowledge and expertise to make your life easier. Most of the sensors we make go into original equipment. This is a vast area and can range from sensors to measure the temperature of drugs in medical devices to sensors inside fuel and lubricant test equipment. Every customer’s process and product is different but all our OEM and product design customers require a reliable partner to produce cost-effective sensors, often in large volumes, to an excellent quality. Thermocouples use the seebeck effect to measure temperature. There are a number of different types suited to measuring different temperature ranges or appropriate for different applications. We supply all types of thermocouples, although for inclusion in products type K and type T are most popular. Thermocouples have many different construction options whether that is cable, mineral insulated or rigid metal sheaths. Resistance thermometers use resistance to measure temperature. They can also be called resistance temperature detectors (RTDs) or Pt100 sensors. We supply all types of resistance thermometers including Pt100, Pt500 and Pt1000. They can be constructed in various ways with the most common being wire-wound elements and thin-film elements. These elements are protected in assemblies that can be integrated into your products. Thermistors are types of resistors that measure temperature. There are two main classes of thermistor, either NTC (Negative temperature coefficient) or PTC (Positive temperature coefficient) depending on what is suitable for your application. There is a wide variety of different types of thermistors from a range of different manufacturers. We can manufacture thermistors into assemblies that will be suitable for inclusion in your products. The designs are very similar to anything we are produce with a resistance thermometer element. Integrated circuit temperature sensors are solid state sensors that measure temperature. 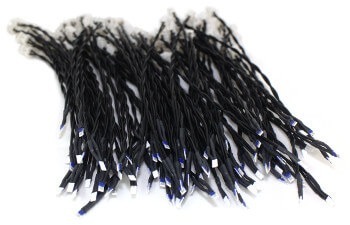 They are sometimes called one wire digital temperature sensors or silicon-based temperature sensors, although the output can be digital or analogue. IC temperature sensors are manufactured by many semiconductor companies, and each model of IC sensor has its own range, accuracy and other specifications e.g Maxim Integrated manufacture a IC temperature sensor with the model # DS18B20. Sign non-disclosure agreements (NDA) to protect your ideas while we learn about your application. Provide design input to produce sensors to solve your specific problems. Provide sample sensors for you to test in your prototype products. Deliver large volumes of sensors, with low-cost manufacturing, utilising various in-house automated processes. Response to your demand fluctuations, with the ability to achieve short lead times when necessary. Conduct special testing on manufactured sensors to ensure requirements are met including measuring sensor response time, physical robustness and insulation. Calibrate sensors to single or multiple temperature points. Whether you have an existing product and are unhappy at the cost or product life of your existing temperature sensors, or you are designing a new product that requires a temperature sensor, we can recommend the best solution to your temperature sensing problem. Project Outline: You come to us with a project outline and brief knowing some of your requirements. We can work with few or many details. We make sure you will have one point of contact who can help solve your problem. Full Specification: From our experience, and learning about your application, we can help draw out unstated requirements to develop a full specification. 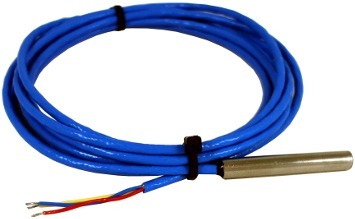 Samples: We can provide sample temperature sensors for you to test, which can be one or more designs. You conduct testing on the samples and come back to us with any modifications or comments. Agree specification: Once you sign off on a sample we can produce an agreed specification often with full drawing. Value engineering: We conduct value engineering to ensure volumes of sensors can be produced to an appropriate cost. This may involve the manufacture of production equipment but often utilise existing automated processes and knowledge we have in-house. Sub-assembly: We can conduct further sub-assembly if required to make any integration into your product easier. Initial Production Run: Throughout the initial production run we will make sure any feedback is integrated into our production methods. Full Production: We can manufacture full volumes to your specifications, ensuring delivery schedules are met so there are no delays in your manufacturing. We’ve made temperature sensors for inclusion in a very wide variety of products for over 20 years and today we are considered the best choice for custom built temperature sensors in the UK. 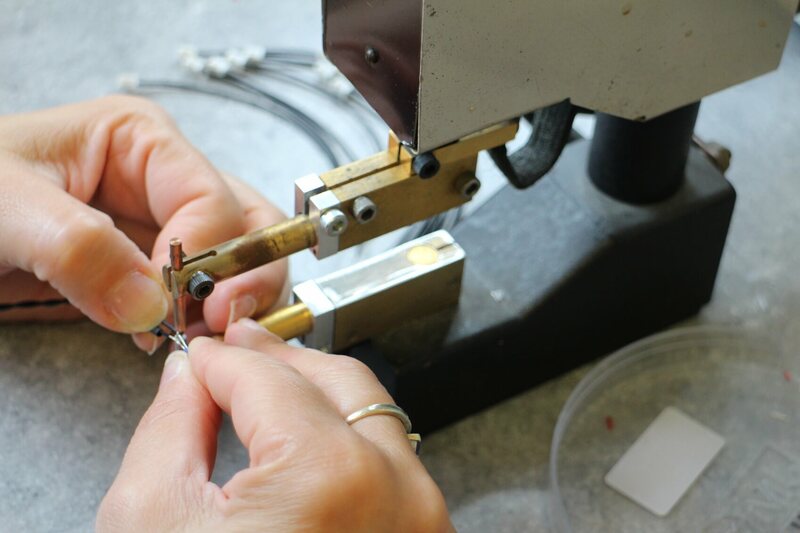 We continue to apply our expertise and invest in the latest technology to provide our customers with the highest quality temperature sensors available while providing cost-effective volume manufacturing.